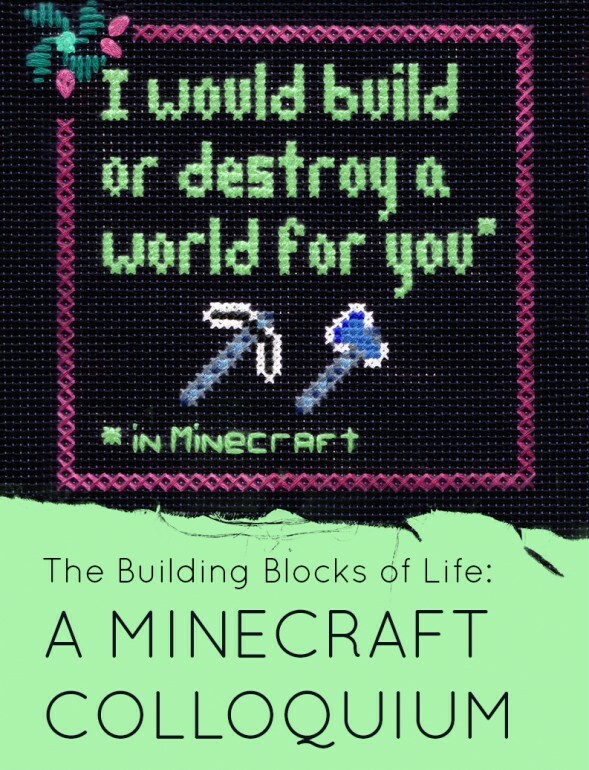 This one-day colloquium is geared towards researchers studying the video game Minecraft (Mojang, 2009). Because of its open-ended format, multiple play styles, creative possibilities, and even its practical uses in education and architectural planning, Minecraft has attracted a huge and diverse audience. The game has also has proven to be an extremely rich source of scholarly engagement, and its possibilities for research are only in the first stages. This colloquium seeks to bring together ideas for papers, presentations and panels as diverse as the possibilities within Minecraft itself. We invite proposals from a range of disciplines and perspectives, including game studies, research/creation, fine arts, education and pedagogy, computer science, and digital humanities, and encourage submissions that approach the game from uncommon and unexpected angles. 3:30-4:30 Your Place or Minecraft? Screening of Gina Haraszti’s documentary on the mLab Minecraft server, followed by discussion. This colloquium is a collaboration between the IMMERSe Research Network, the Concordia Research Centre for Technoculture Art and Games (TAG), Hexagram and The Ampersand lab of the Concordia Media History Research Centre (MHRC).